Have you noticed all of the wall art lately using numbers in the design? The look is so simplistic and yet so appealing. Luckily, it is very easy to create your own art with numbers using wooden numbers, paint and stencils, fabric or even wine corks. This project is super simple, using vintage distressed wooden numbers. I came up with this idea after finding the two numbers in an antique store. They must have been old address numbers, which leads me to want to search for some old metal house numbers as well. Although I wanted to make some number art with meaning, the numbers didn’t need to hold any special significance for me to make a purchase. However, after arranging the numbers in all the various patterns of fours, nines and sixes, I came up with 64 which happens to be the year both my husband and I were born. This made me a little more excited since I am pretty sentimental! 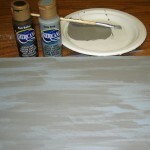 I first painted the wood with a base coat of slate gray acrylic paint. However, I wasn’t quite happy with the color. 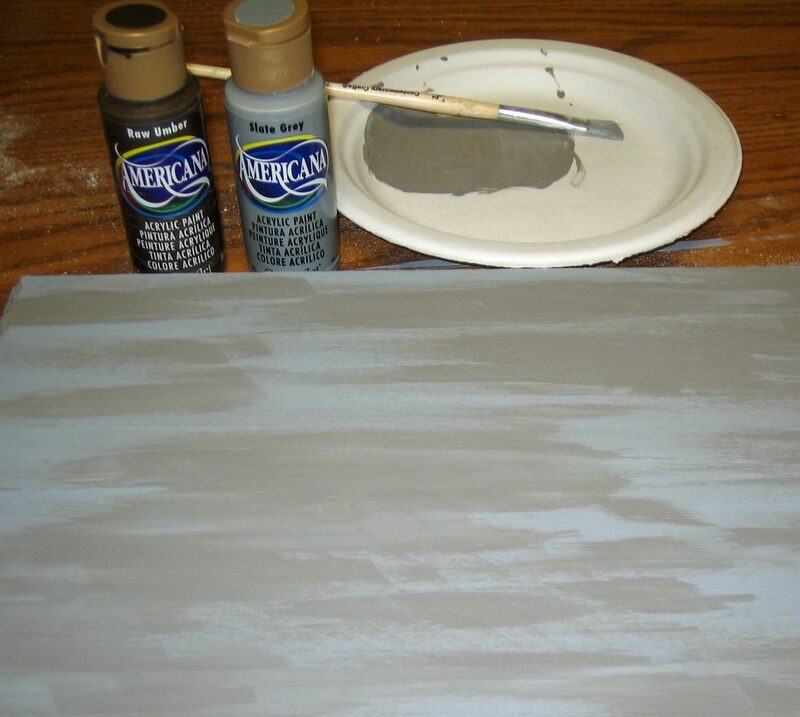 I wanted it to look like weathered wood so I then mixed some of the slate gray paint with some raw umber to give it a little bit of a brown tone. I didn’t worry about going over the entire piece of wood since I was going to be covering it with black anyway. Using a tea light candle, I then rubbed the candle across the dried paint in some of the areas that I wanted the gray to show through. 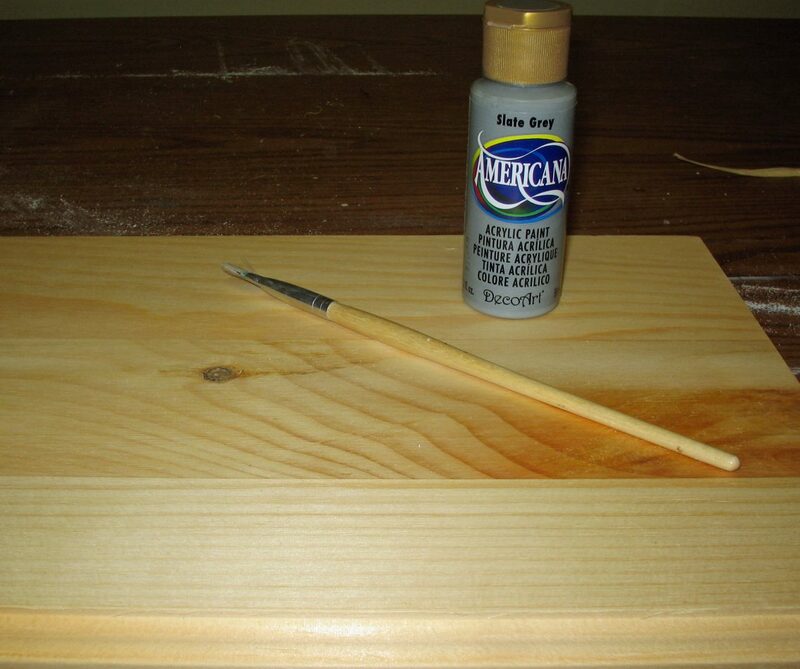 I then painted over the entire wood with black acrylic paint. When the paint was dry, I very lightly sanded over the surface. The paint easily came off the areas where I had applied the tea candle wax. This gave the wood a slightly weathered look to coordinate with the weathered look of the numbers. I glued the numbers to the surface with tacky glue and let them dry. 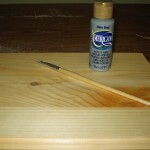 I plan on using a picture easel to display the art but you could also attach a picture hanger to the back and hang it on the wall.